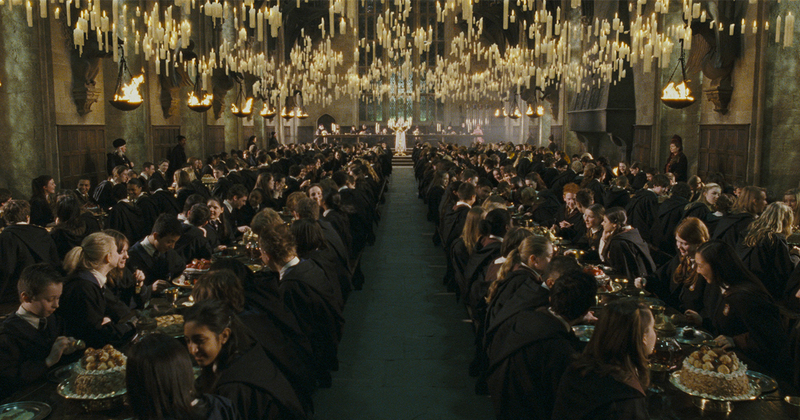 There is a vast, varied canon of Harry Potter fanfiction. In the latest iteration, the analogue world of Hogwarts collides with the digital realities of the 21st century. Sure, they have magic, but they can’t nail WiFi. 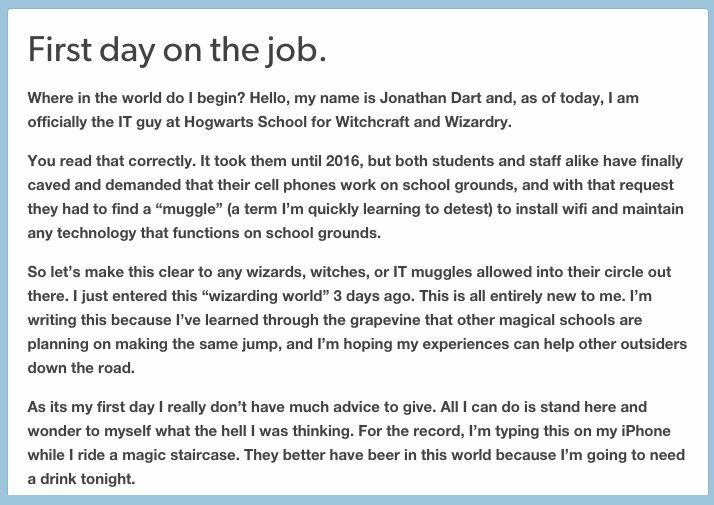 The fanfic is written from the perspective of Jonathan Dart, an American Muggle appointed as Hogwarts’ first tech guy. He’s blogging at a site called The Setup Wizard, detailing how he’s bringing the digital revolution to the castle. These are some of his most important insights.